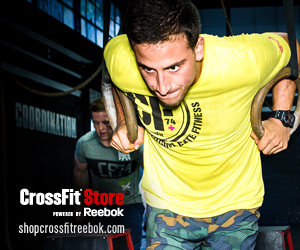 Owner and Founder of Peak 360 CrossFit, Guido is a true veteran of the sport. He began CrossFitting in 2008 and hasn’t stopped since. Along the way, he has earned himself a trip to the CrossFit Games, 6 South East Regional appearances, and a Peak family that he could not be more proud of. Let’s meet G. Trinidad! Favorite healthy food option and cheat meal? Steak, sweet potato, and tomato/avocado salad. The cheat meal: Burgers and fries…oh and a milkshake! If you were to be a superhero who would be? Superman…he’s the superhero of all superheroes!!! I look to so many people for inspiration. People who have struggled or had adversity and overcame it…that’s inspiring. My mother… single mom of 2 boys, Justin Hopman, pace maker and lost 100 pounds, Chris Spealler, never has an excuse and has adapted to the the heavy loads in the sport. Also inspired by very disciplined people…people who have commitment to be who they want to be and the live the life they want to live. My wife…most disciplined person I know! Words of advice for new members at Peak? Take it day-by-day. Don’t get frustrated; instead enjoy the process of becoming a better you. Don’t be too hard on yourself, but be committed to the change, the new lifestyle. Embrace the community and find someone in the gym that inspires you…ask them what their experience was like. Don’t see this as a class you take a couple of times a week; instead it’s where you get to be active and have fun. Not behind a desk, in a car, or on the cell phone….no stresses at the box…it is your place to let go and improve upon yourself; mentally and physically! Try to make friends, practice the skills, and have fun with CrossFit.